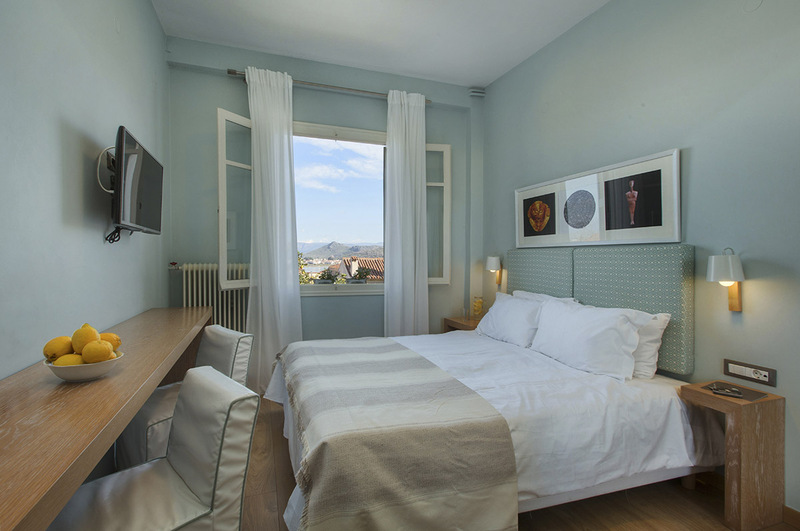 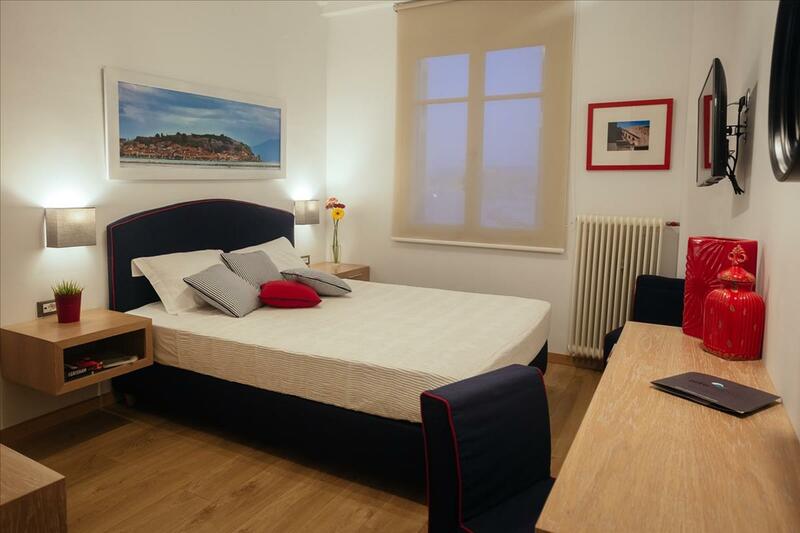 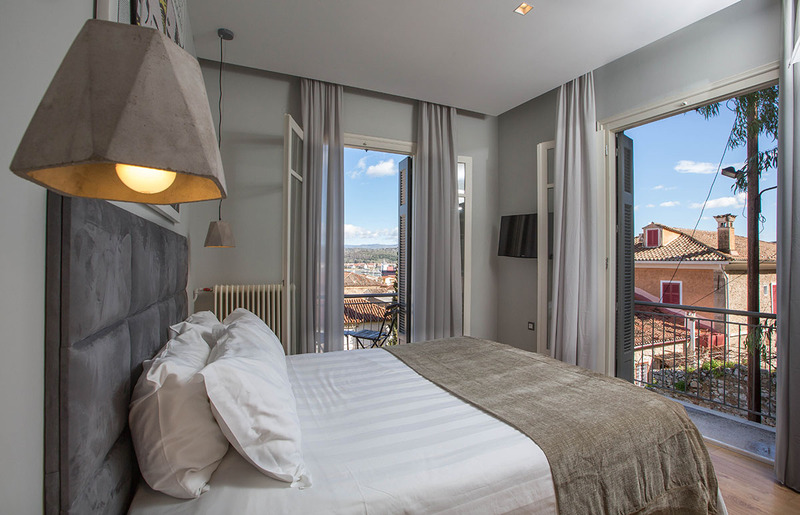 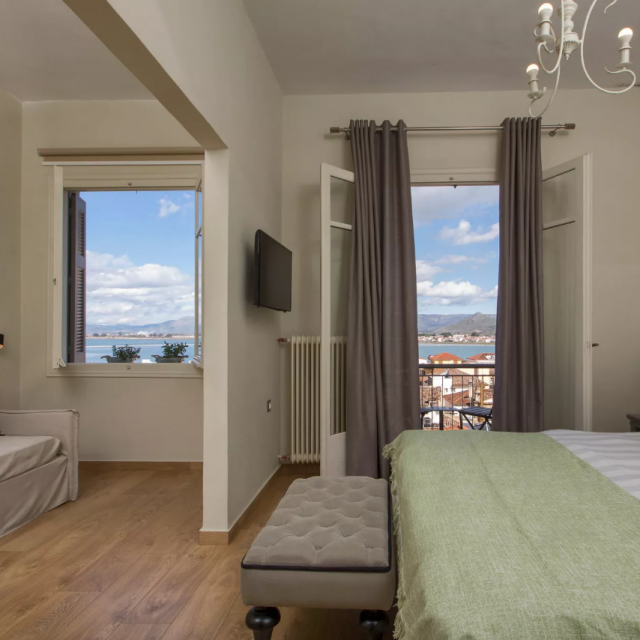 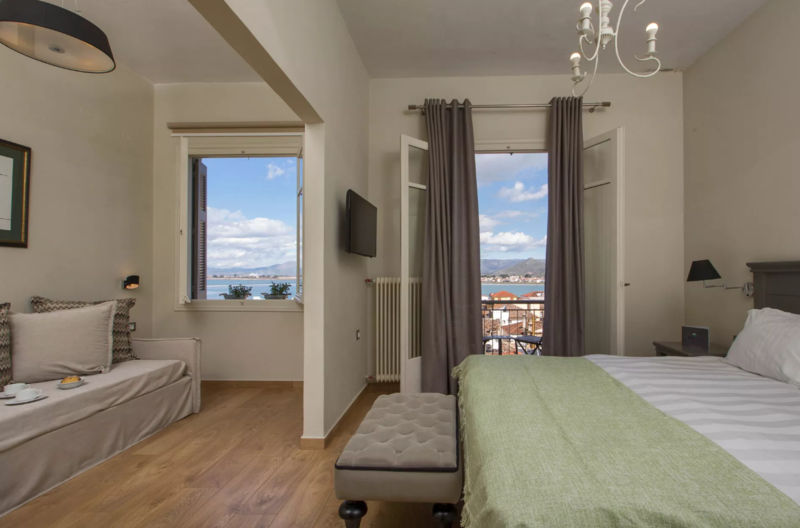 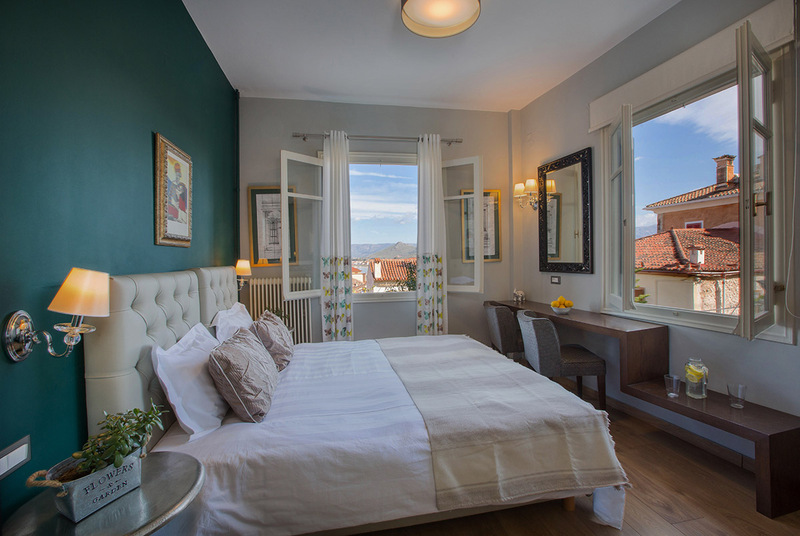 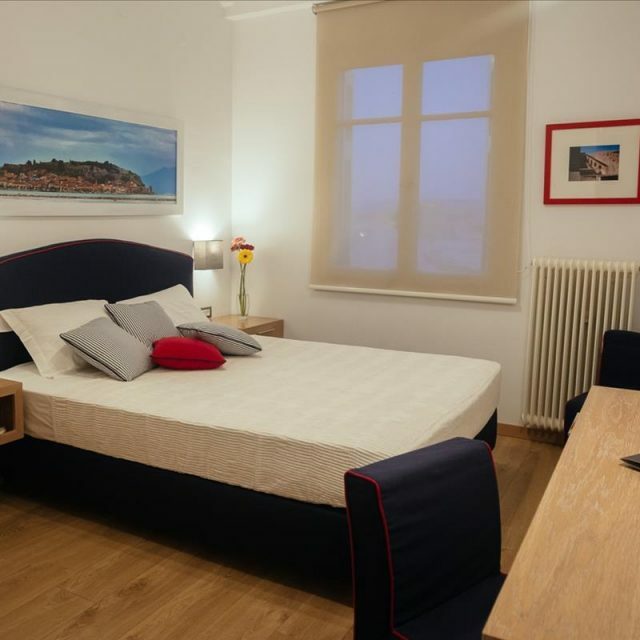 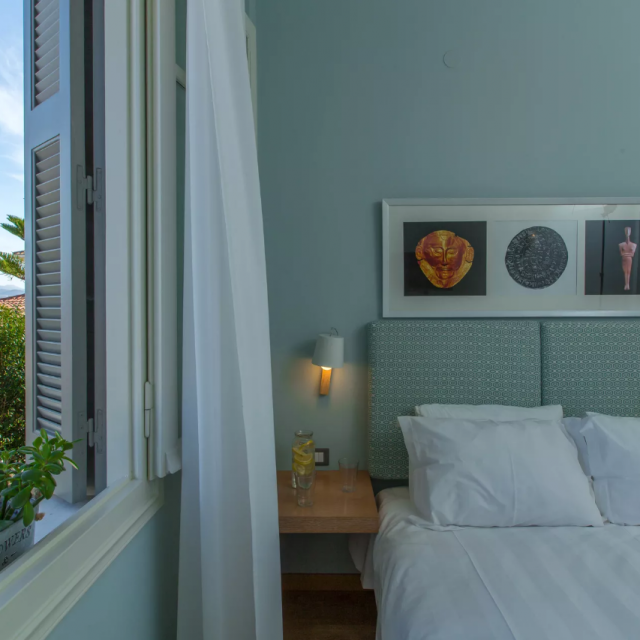 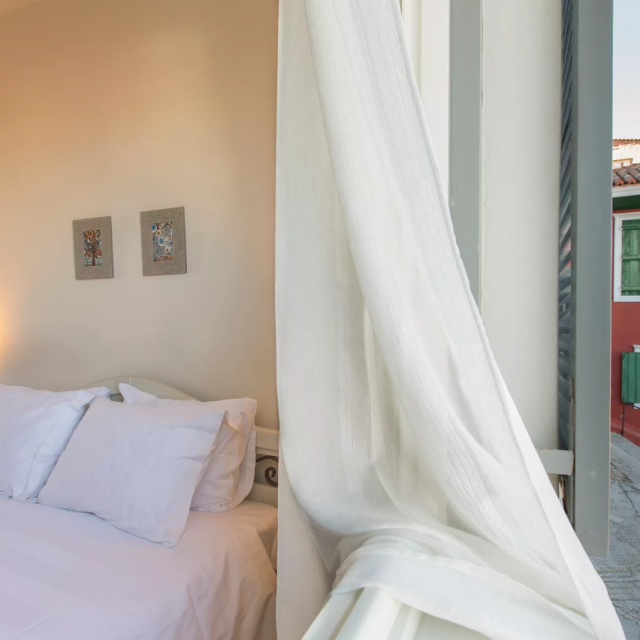 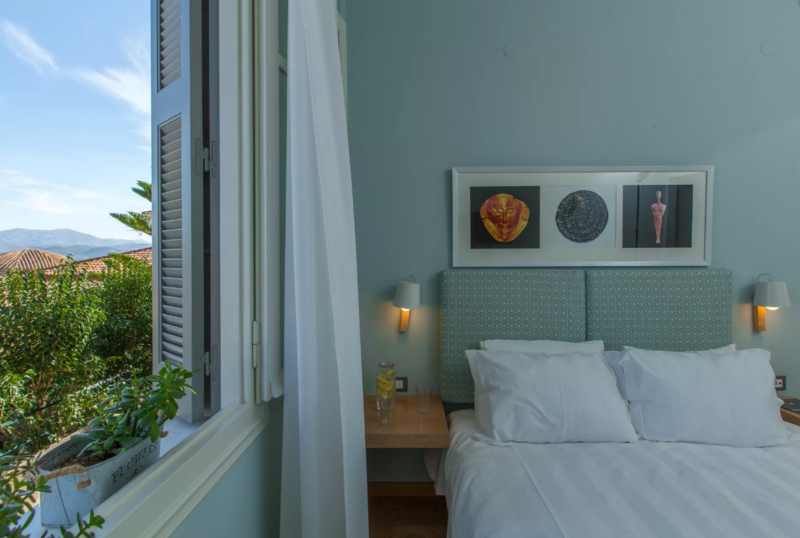 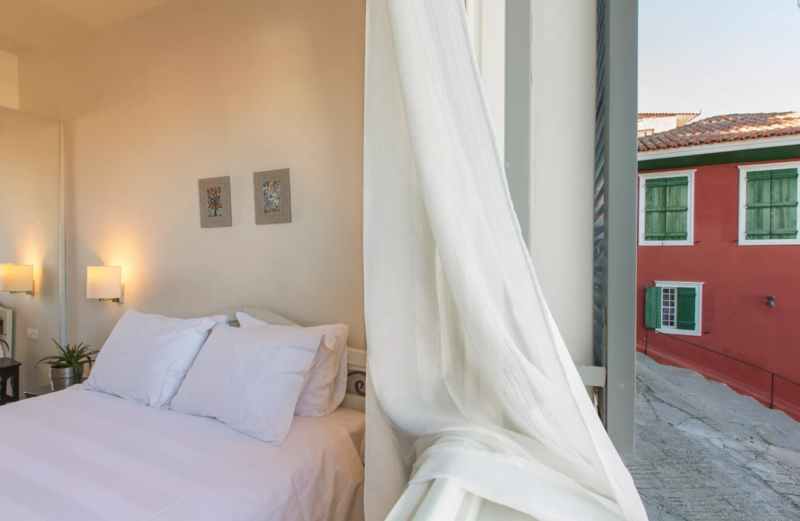 Each of the double rooms at Leto Nuevo has a window with great views over the city of Nafplio and Nafplion harbour. 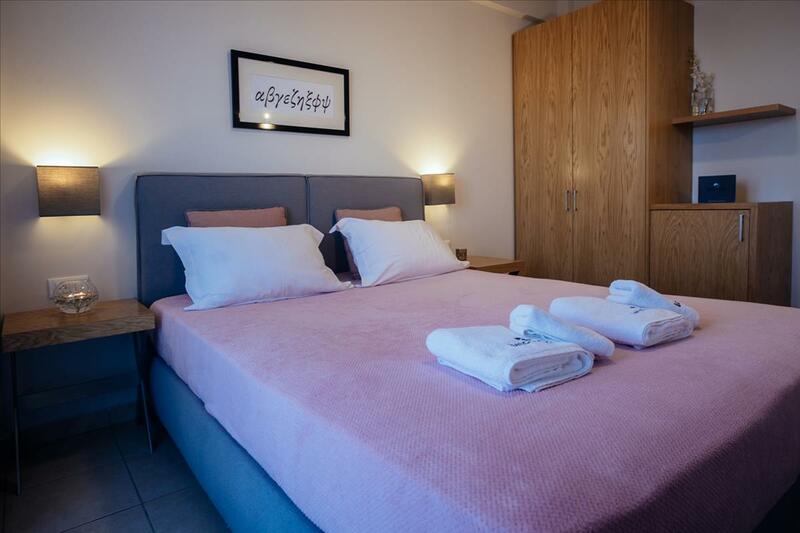 Rooms are equipped with a double bed or twin beds with orthopedic matresses to ensure a great night’s sleep. 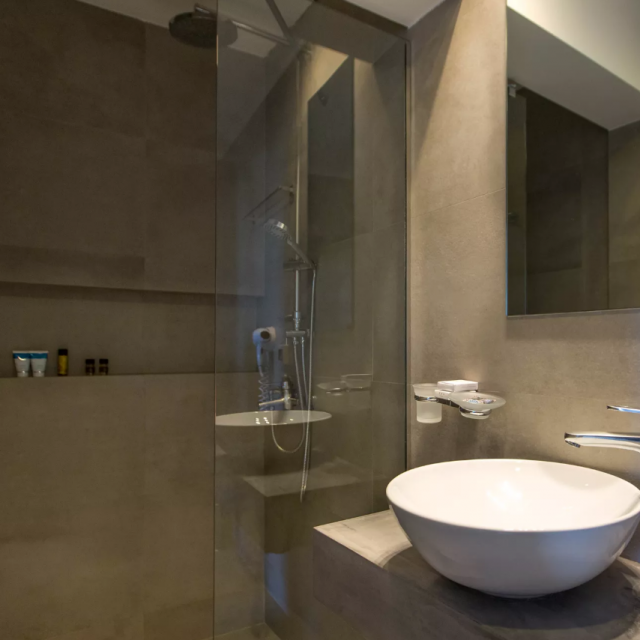 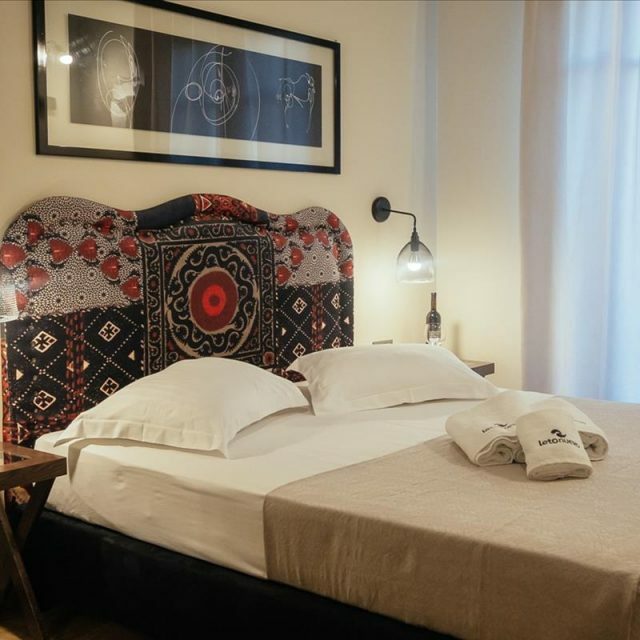 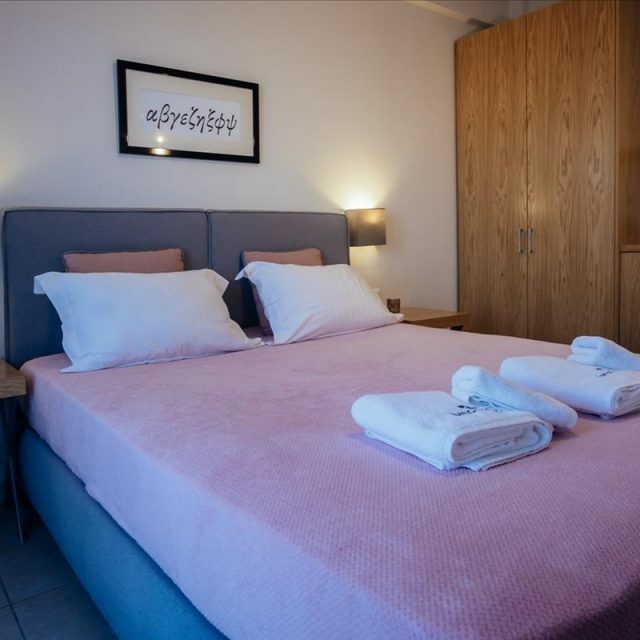 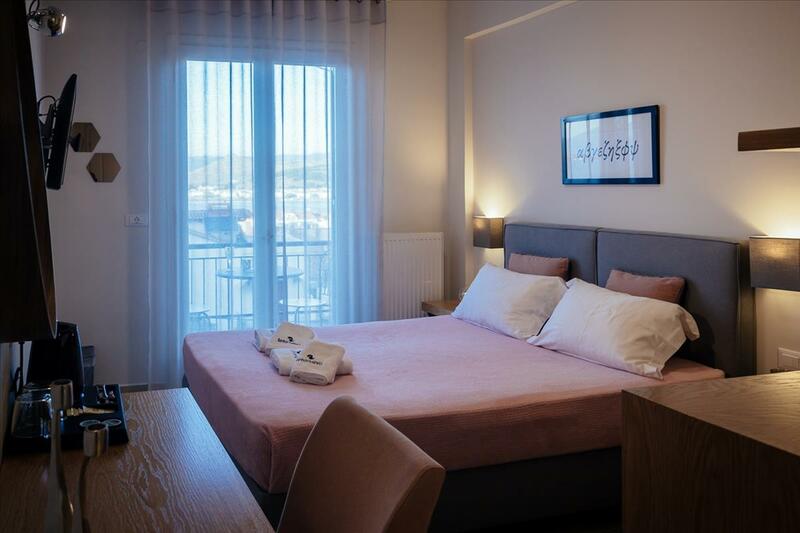 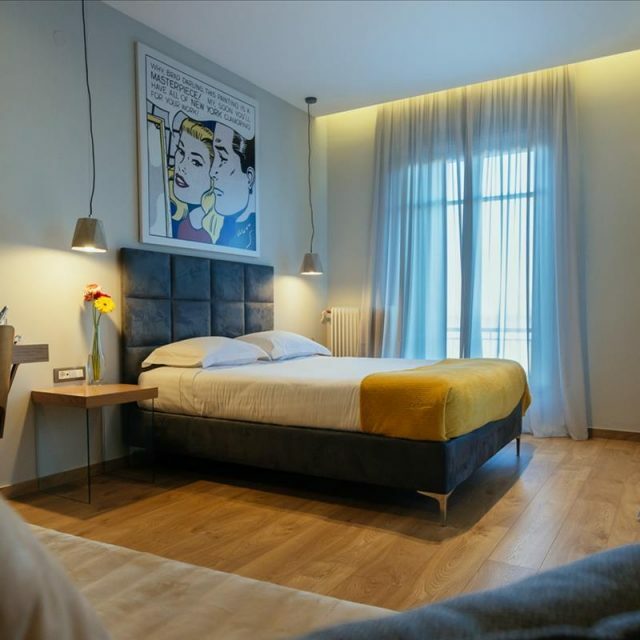 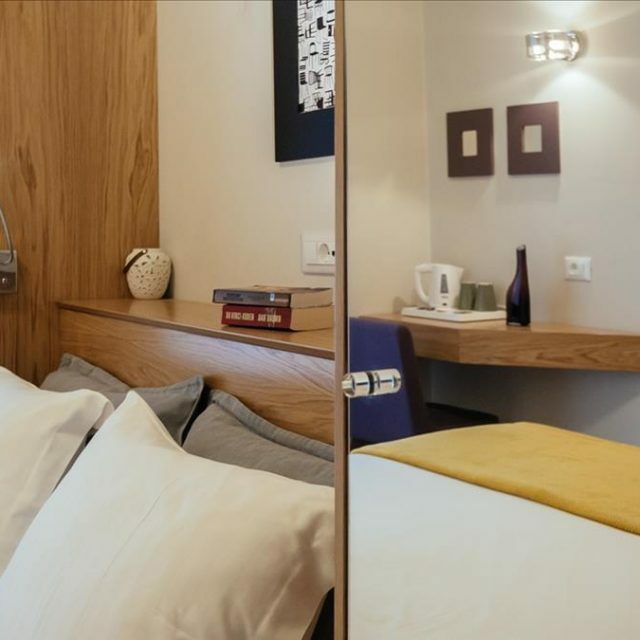 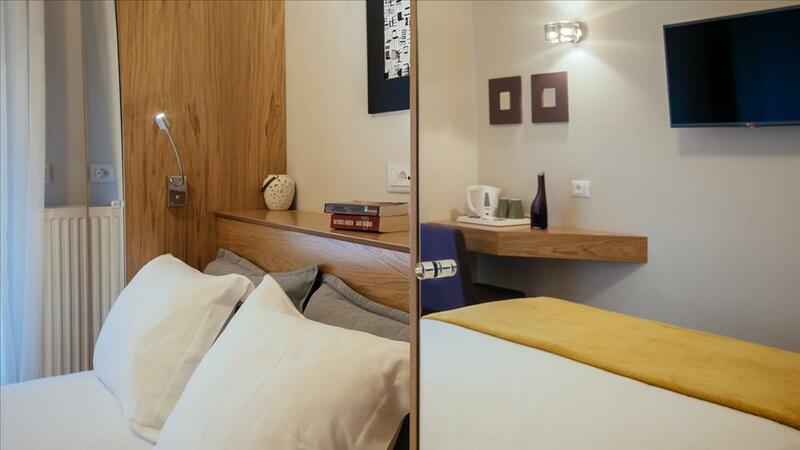 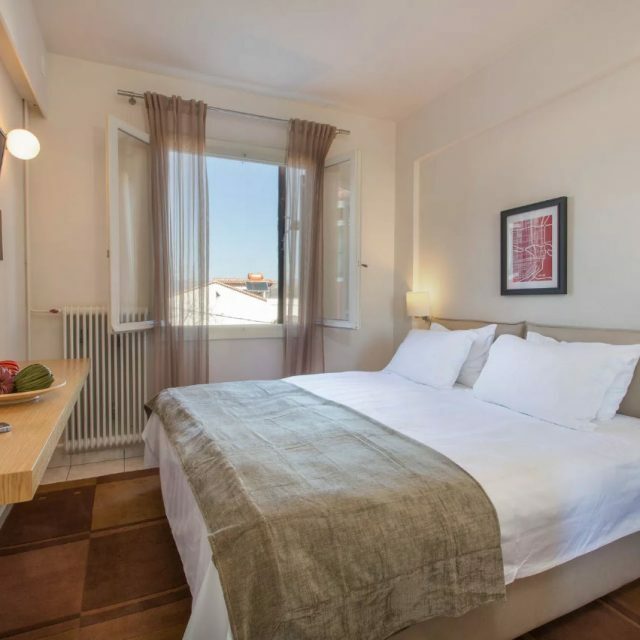 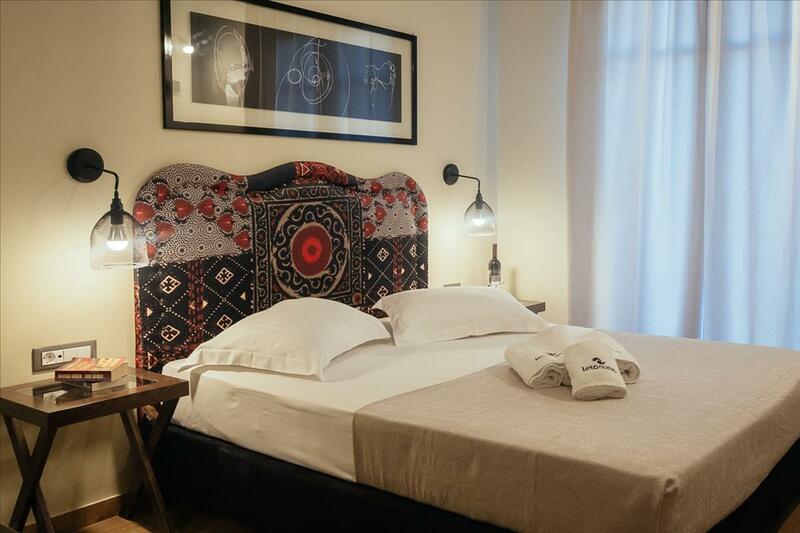 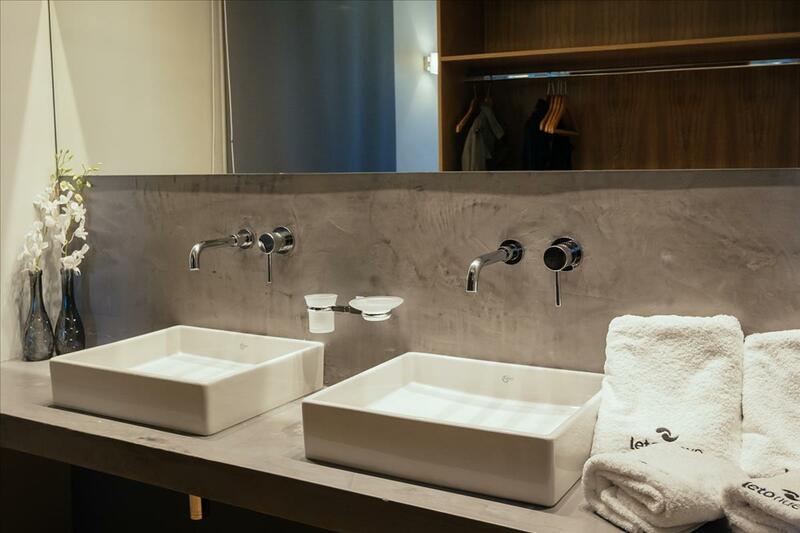 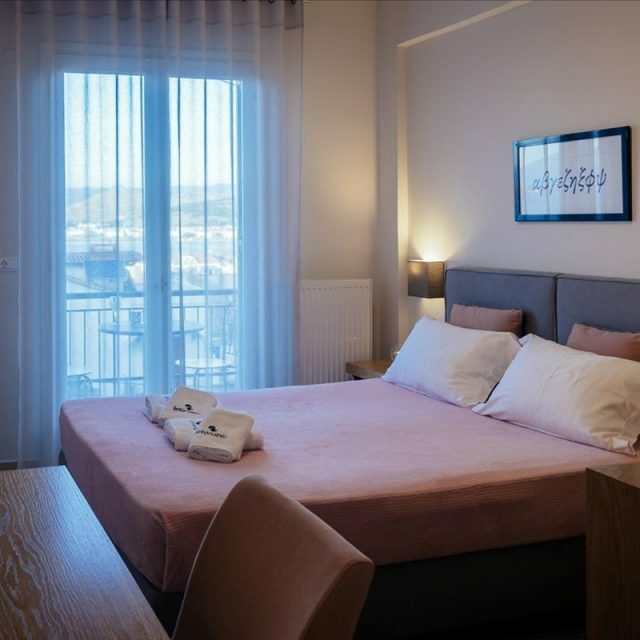 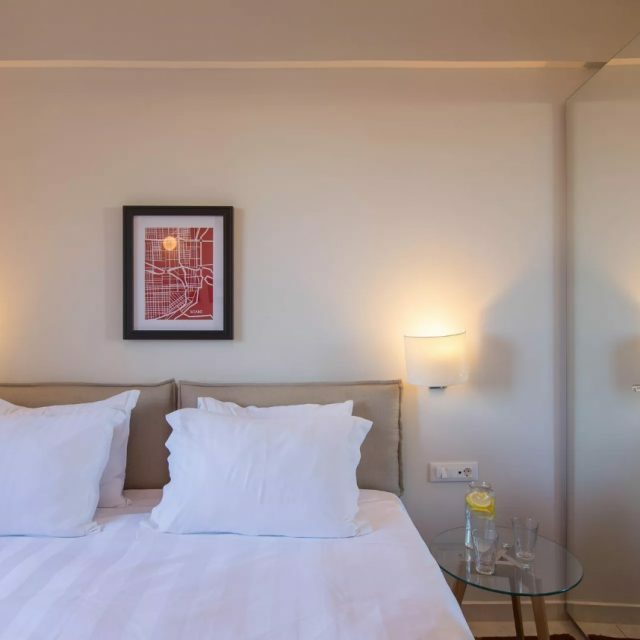 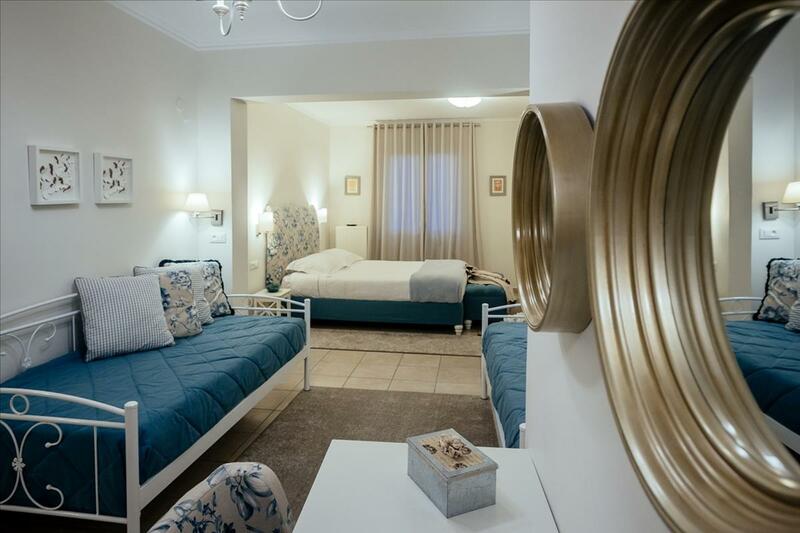 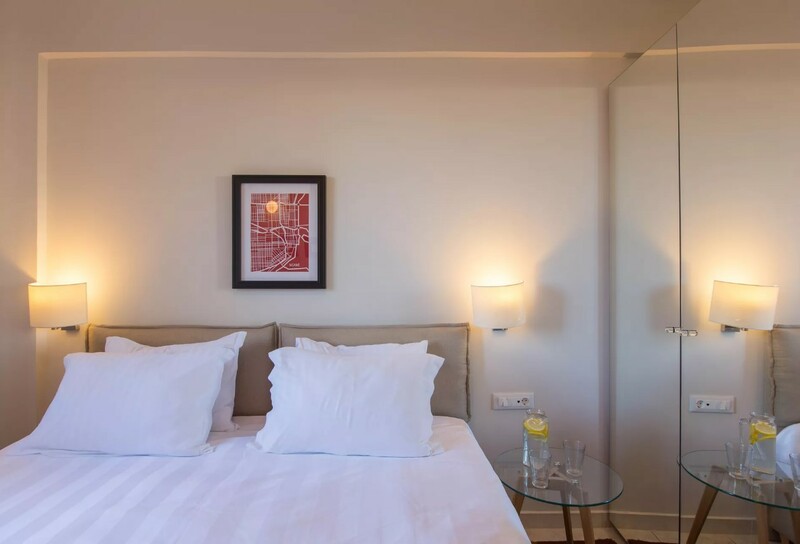 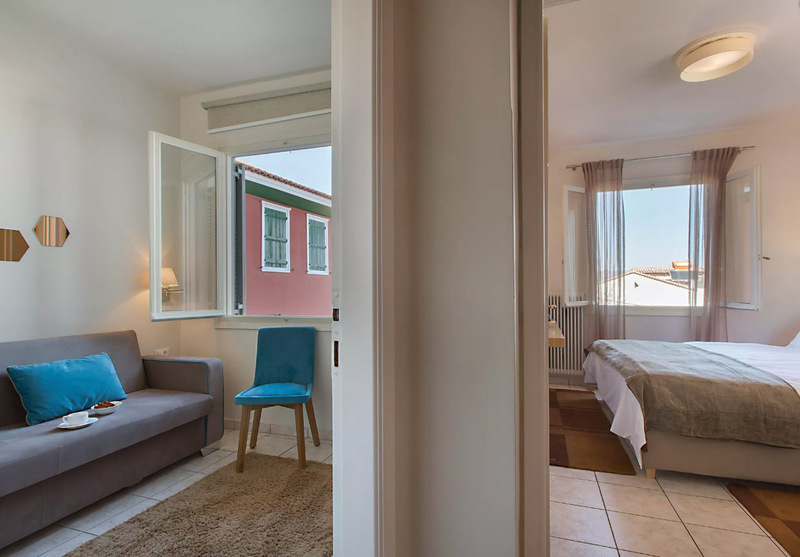 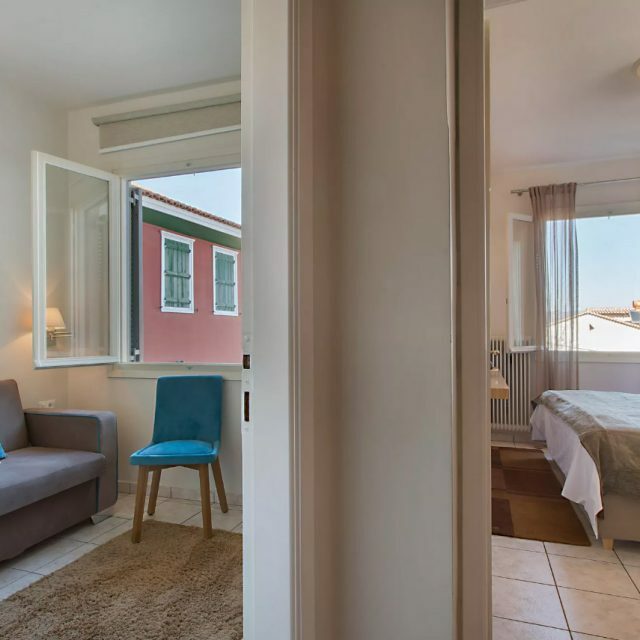 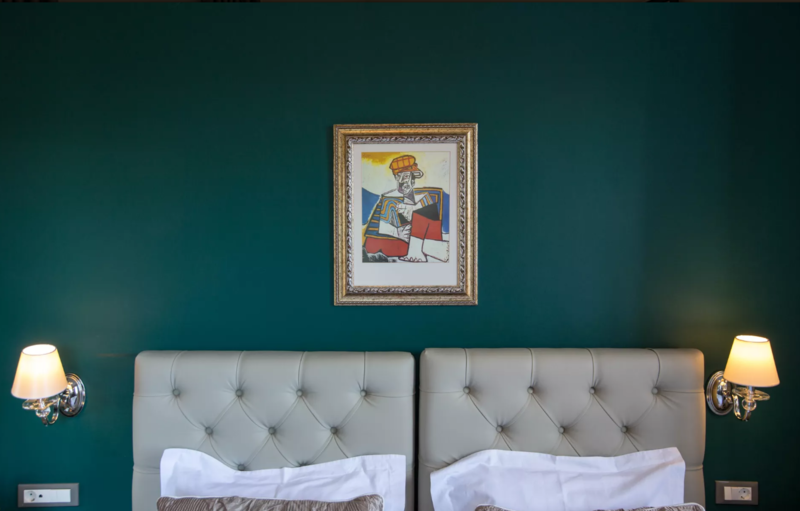 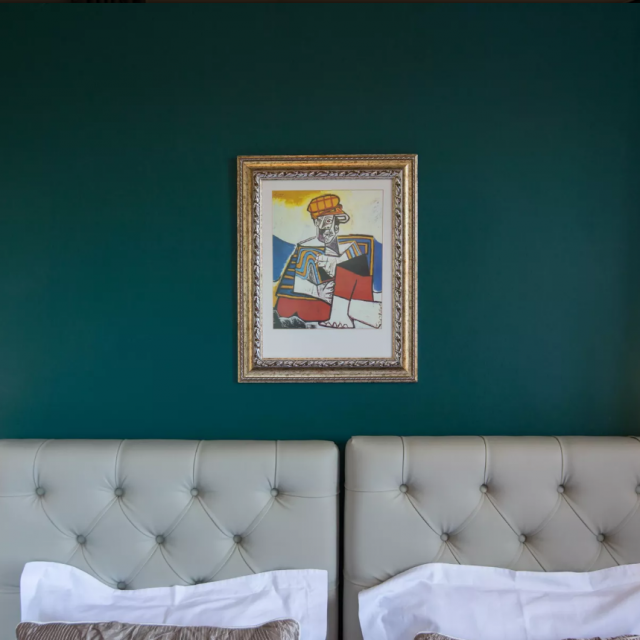 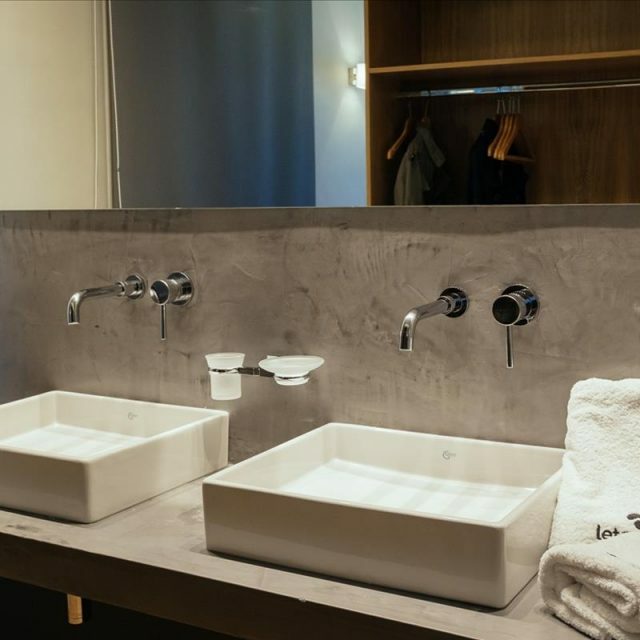 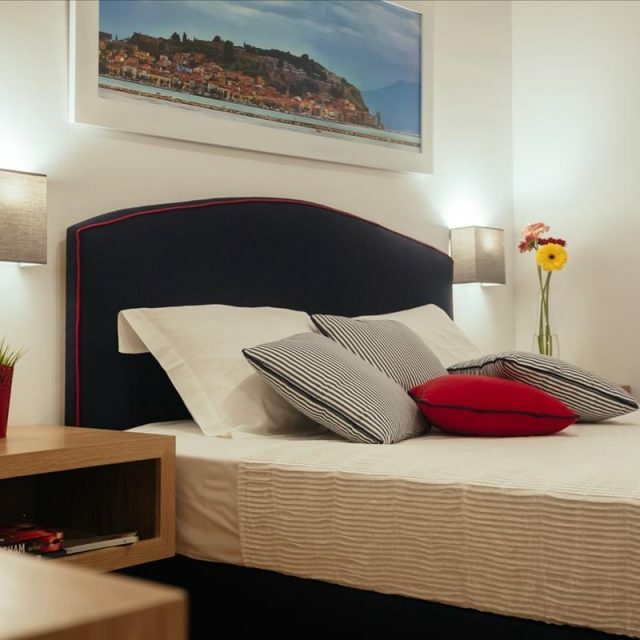 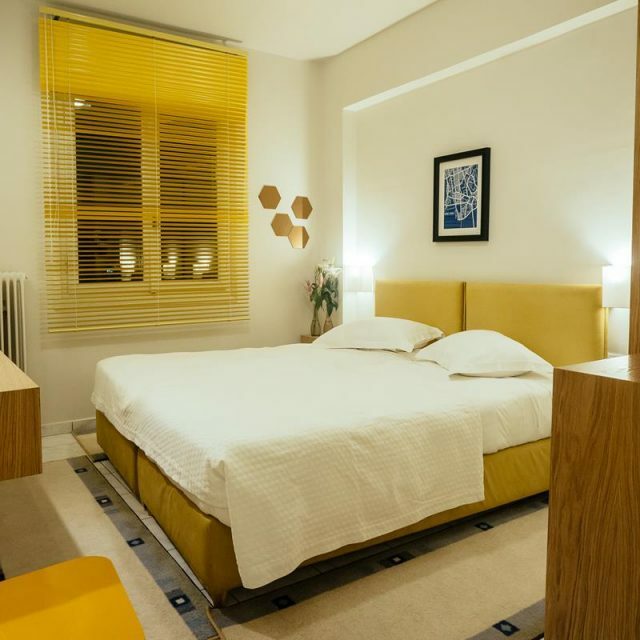 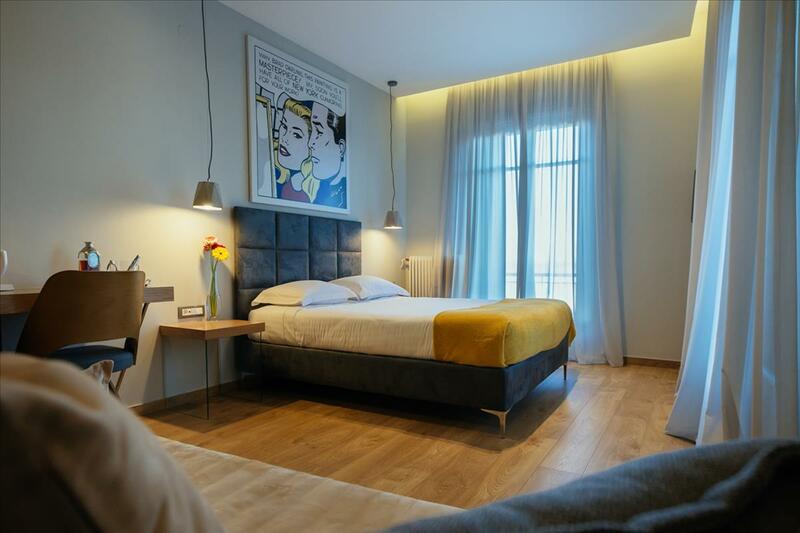 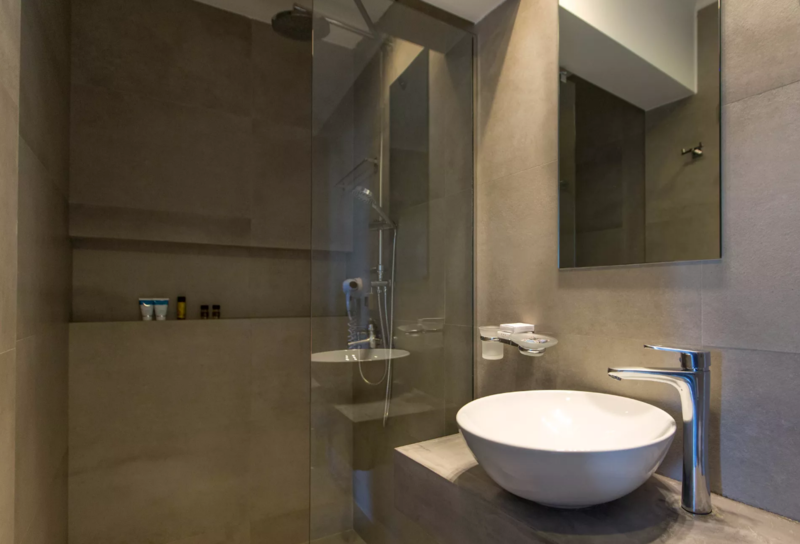 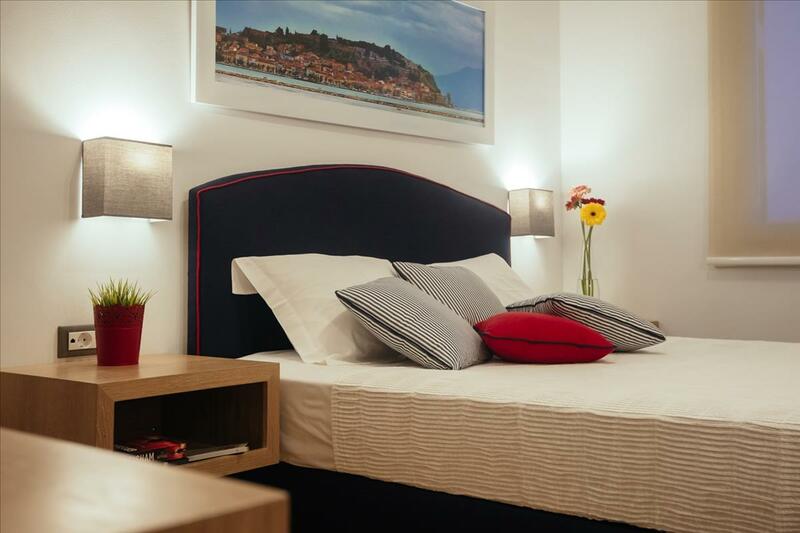 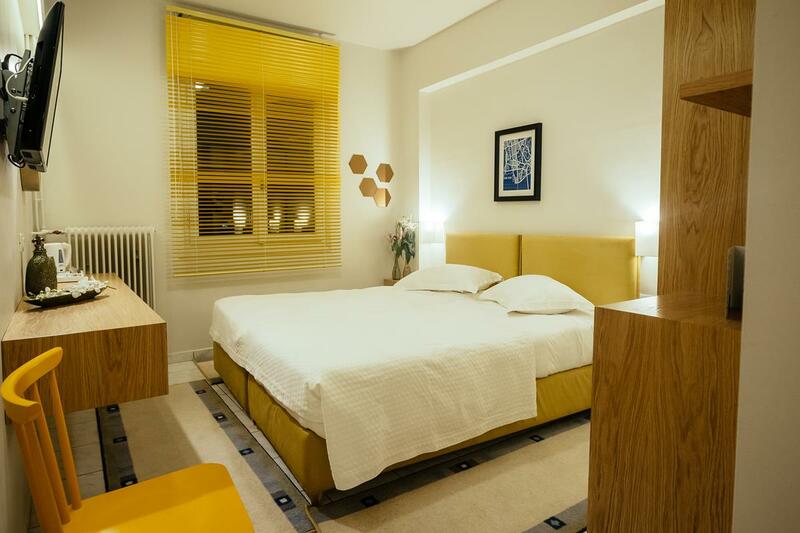 Neutral, restful colours have been used for the decor and furnishings creating a peaceful atmosphere and the rooms have all the necessary amenities for a comfortable and relaxing holiday in Nafplion. 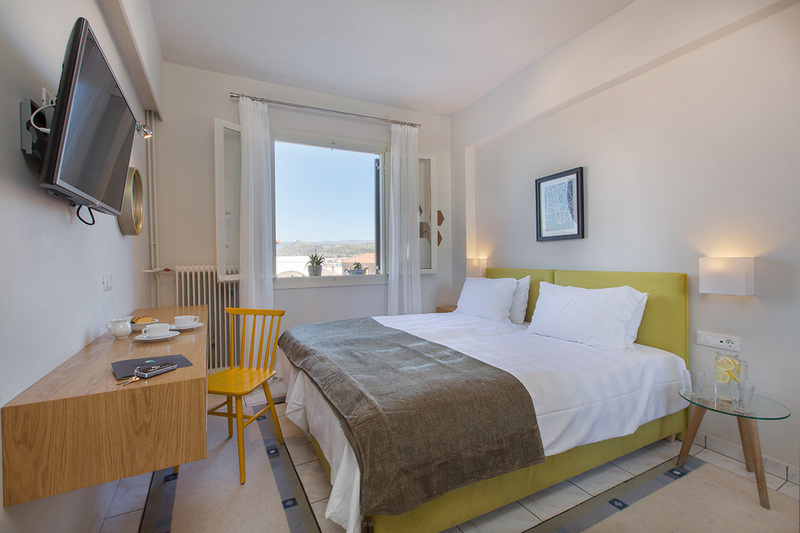 The double rooms with balcony at Leto Nuevo have great views over the city of Nafplio and Nafplion harbour. 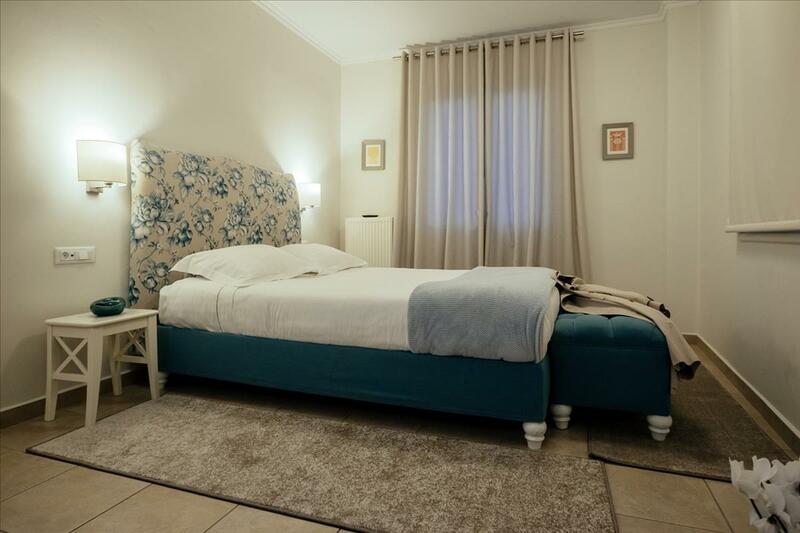 Equipped with a double bed with orthopedic matress it’s a great choice for couples. 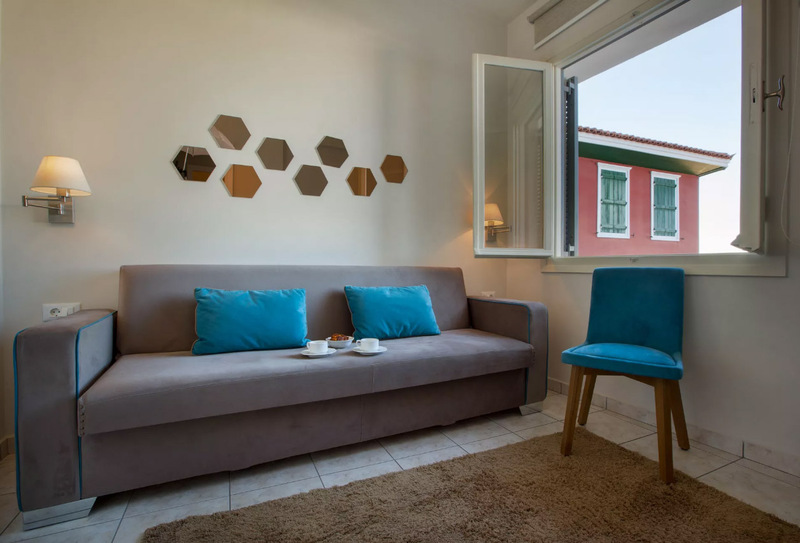 Neutral, restful colours have been used for the decor and furnishings creating a peaceful atmosphere and the rooms have all the necessary amenities for comfortable and relaxing holidays in Nafplion. 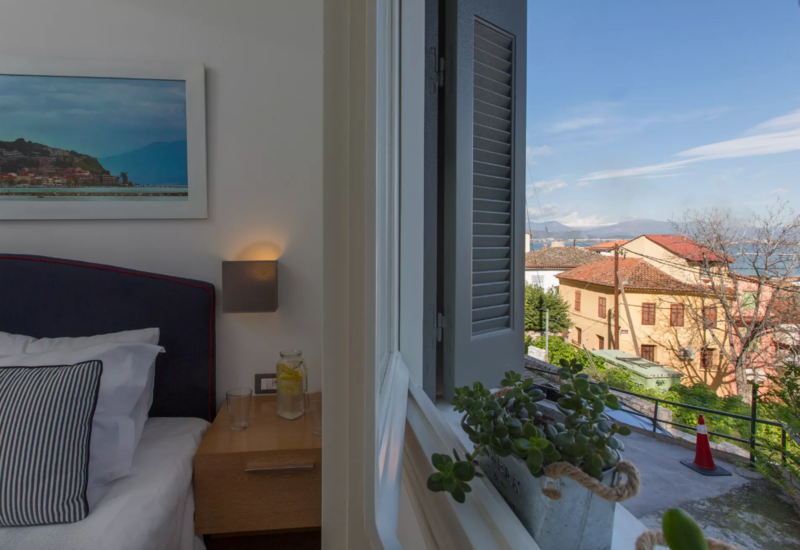 Each of the economy double rooms at Leto Nuevo has a window with great views over the city of Nafplio and Nafplion harbour. 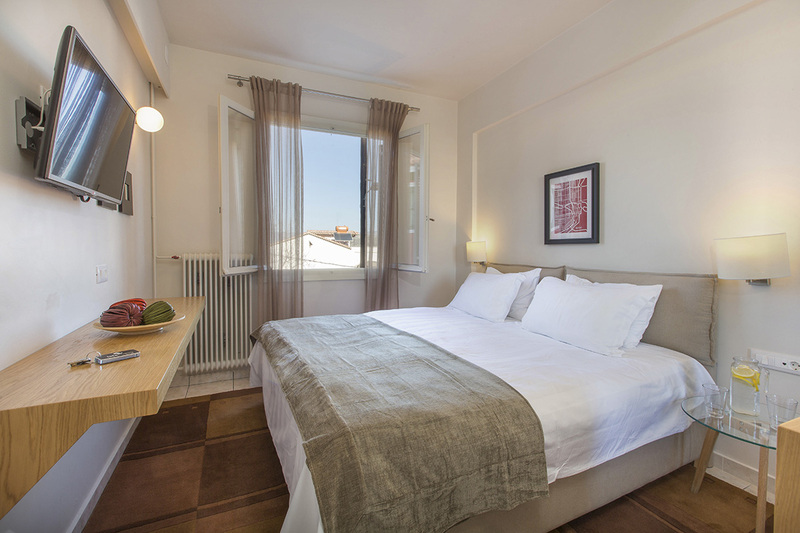 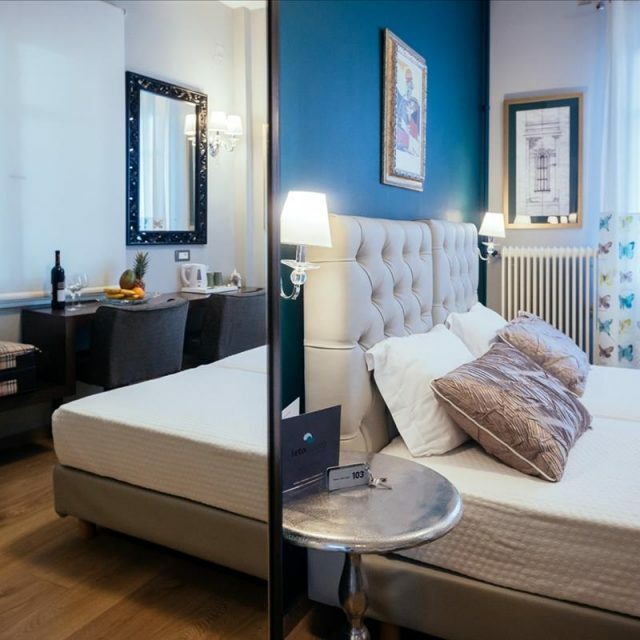 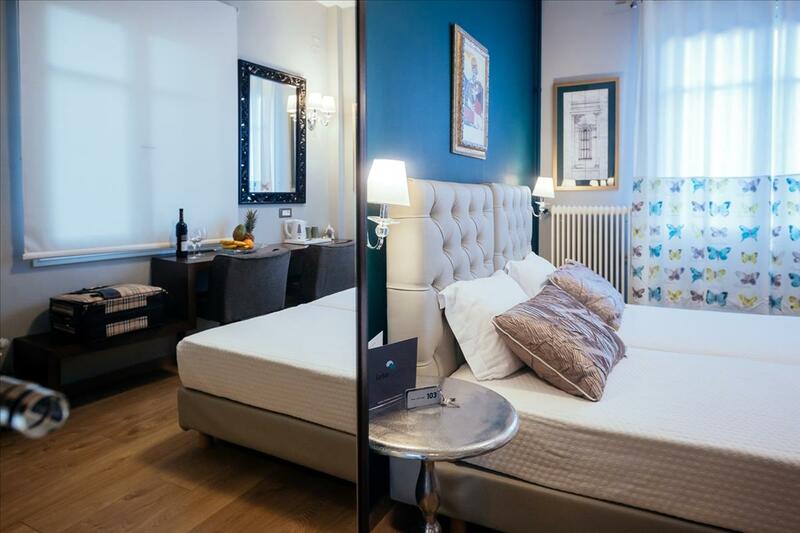 Rooms are equipped with twin beds or a double bed with orthopedic matresses to ensure a great night’s sleep. 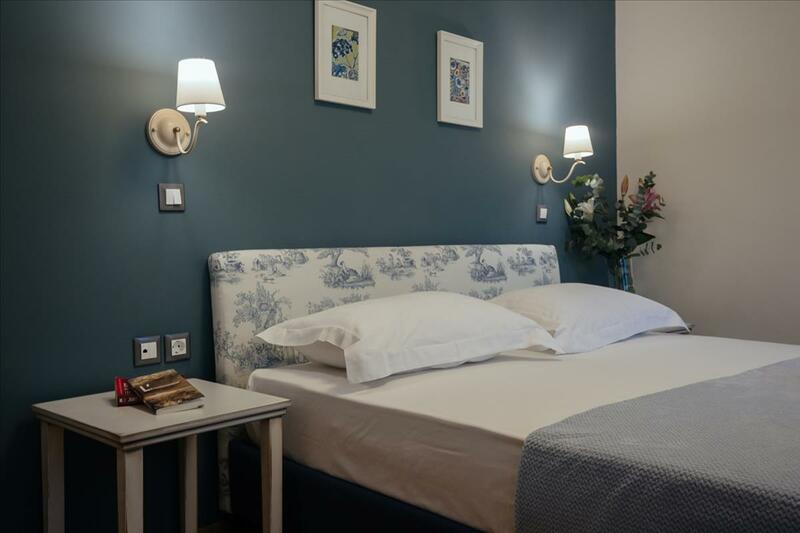 Neutral, restful colours have been used for the decor and furnishings creating a peaceful atmosphere and the rooms have all the necessary amenities for a comfortable and relaxing holiday in Nafplion. 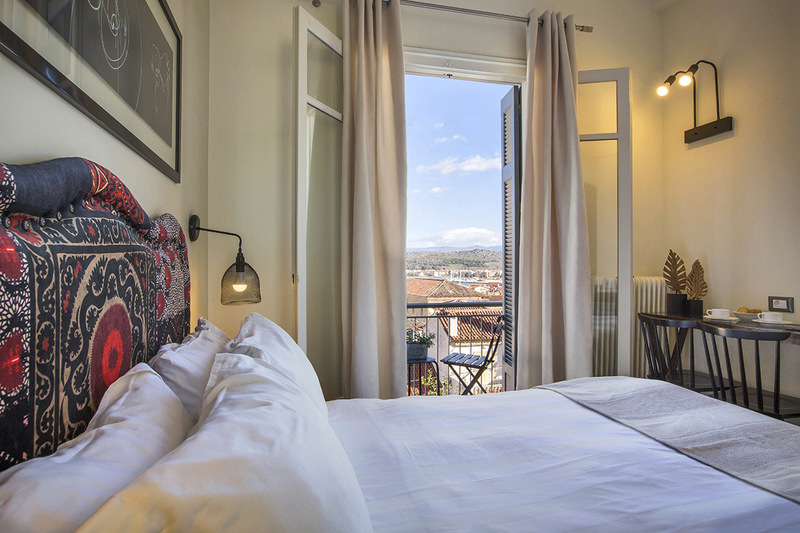 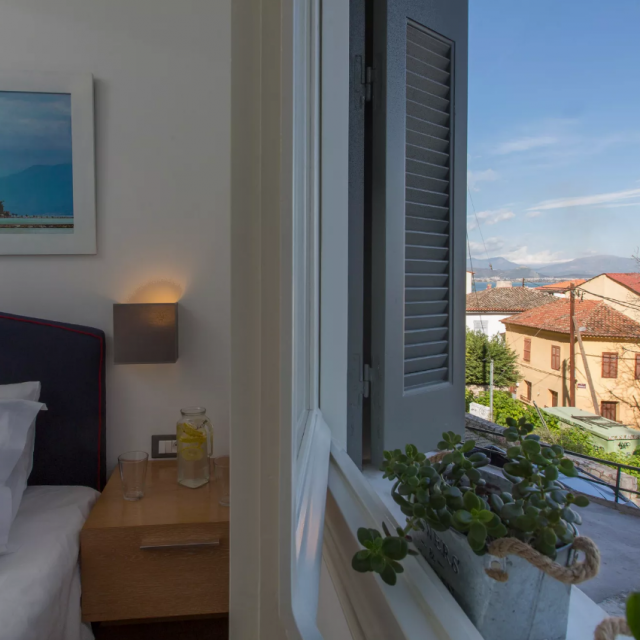 The triple room at Leto Nuevo has a window with great views over the city of Nafplio and Nafplion harbour. 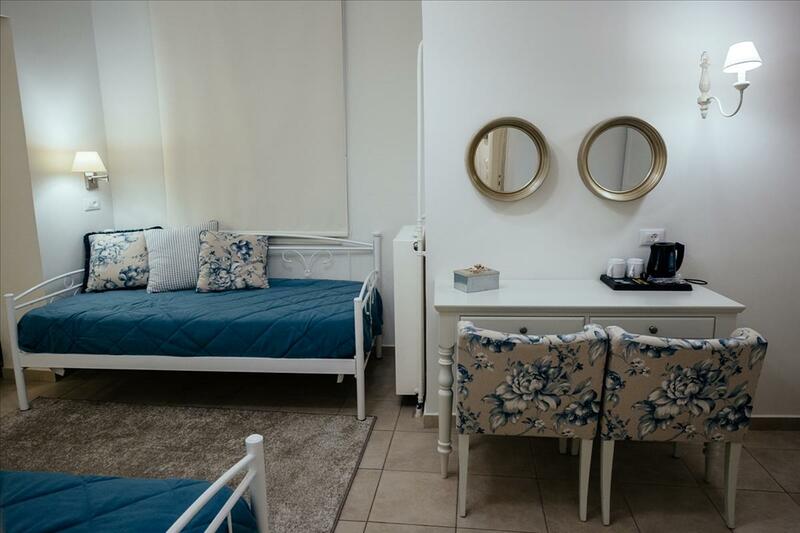 Equipped with twin beds with orthopedic matresses and a comfortable semi double sofabed it’s a great choice for couples with a child or three friends. 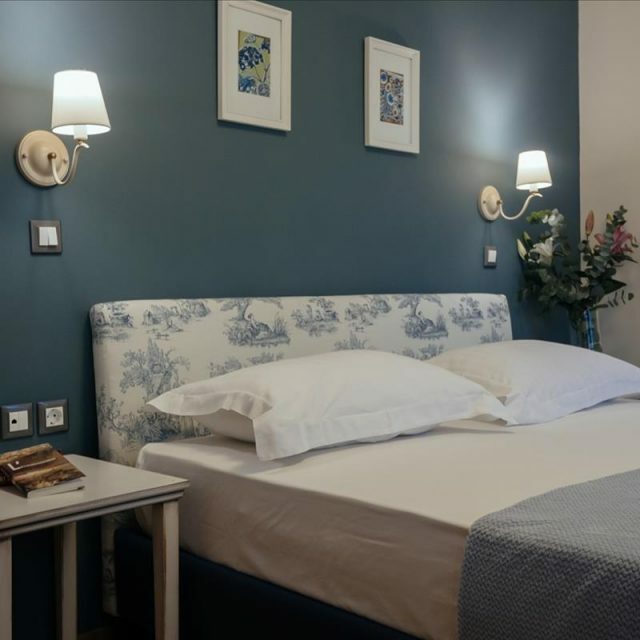 Neutral, restful colours have been used for the decor and furnishings creating a peaceful atmosphere and the rooms have all the necessary amenities for comfortable and relaxing holidays in Nafplion. 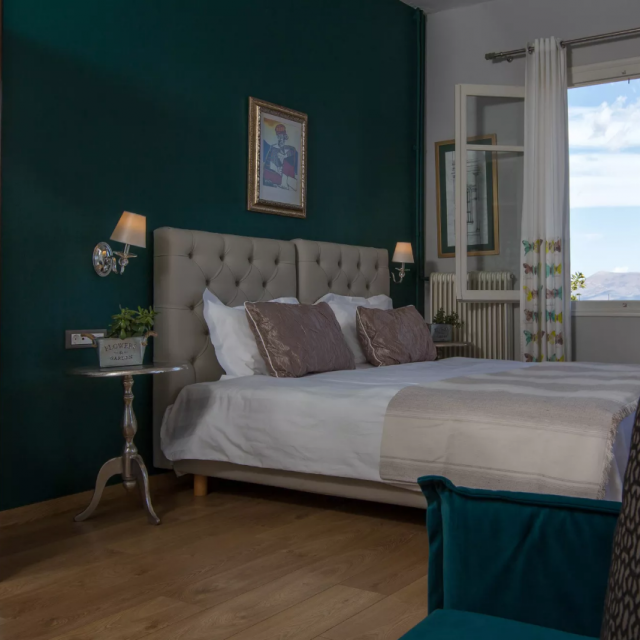 The triple rooms with balcony at Leto Nuevo are spacious and have great views over the city of Nafplio and Nafplion harbour. 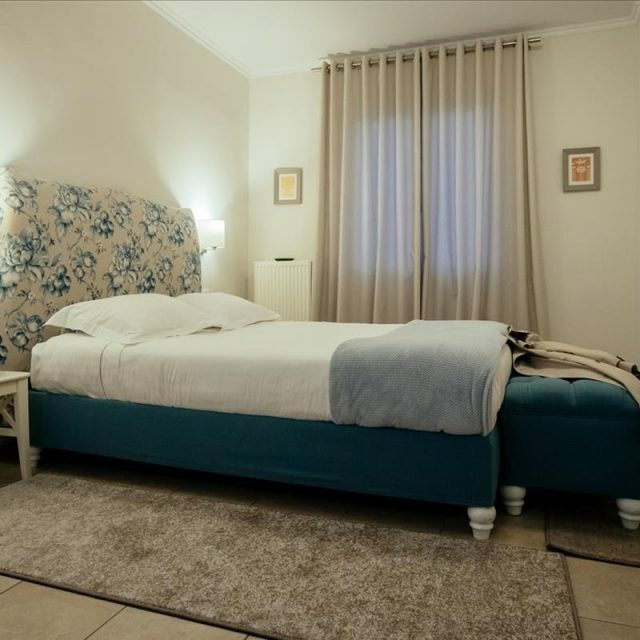 Equipped with a double bed with orthopedic matresses, a comfortable semi double sofabed (suitable for one adult or two children) and the possibility of an extra bed. 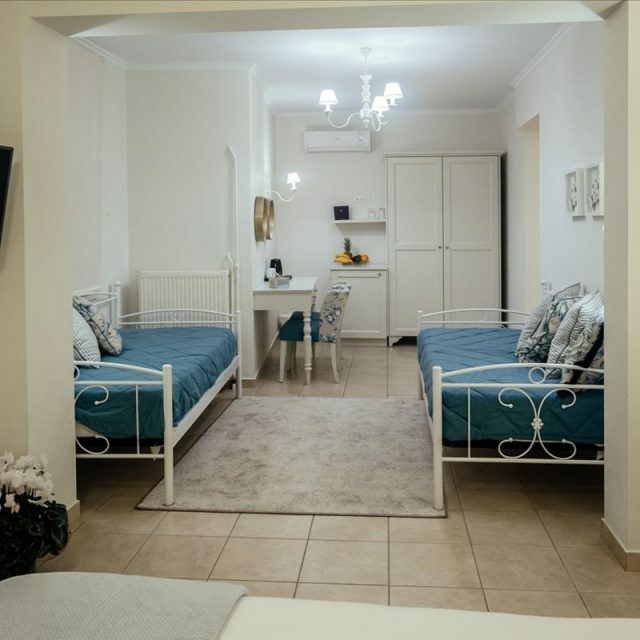 The perfect choice for couples with children or a group of friends. 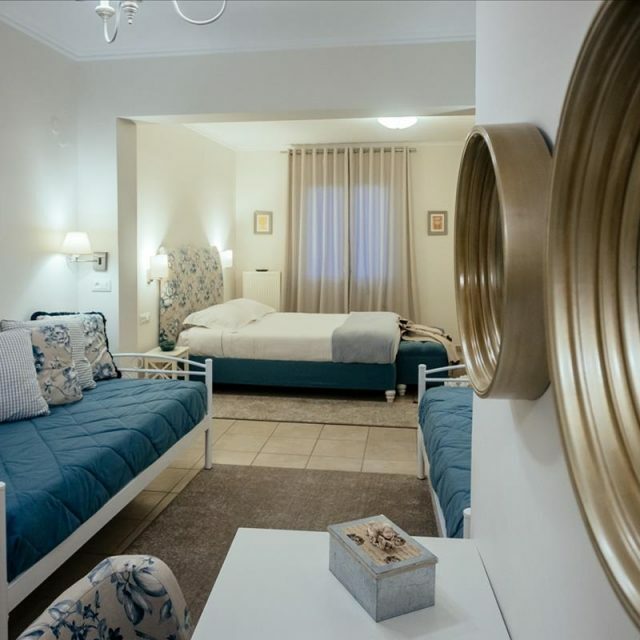 Neutral, restful colours have been used for the decor and furnishings creating a peaceful atmosphere and the rooms have all the necessary amenities for comfortable and relaxing holidays in Nafplion. 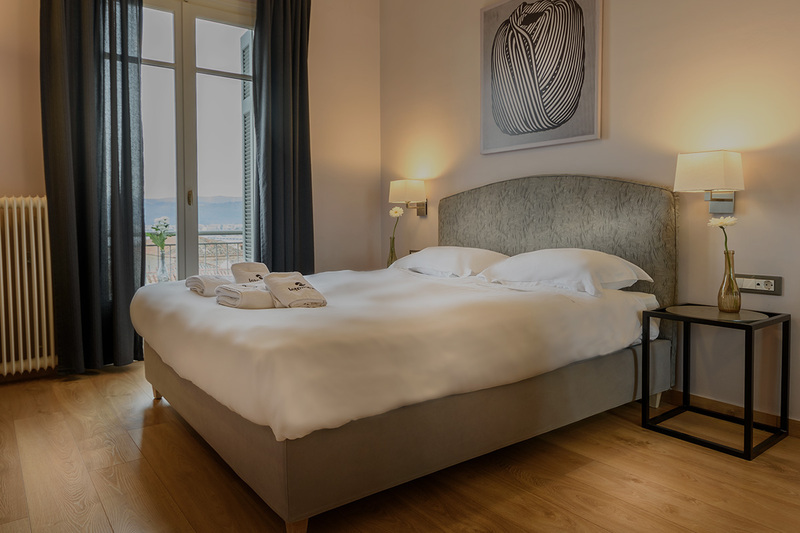 There is one economy triple room at Leto Nuevo has a window with great views over the city of Nafplio and Nafplion harbour. 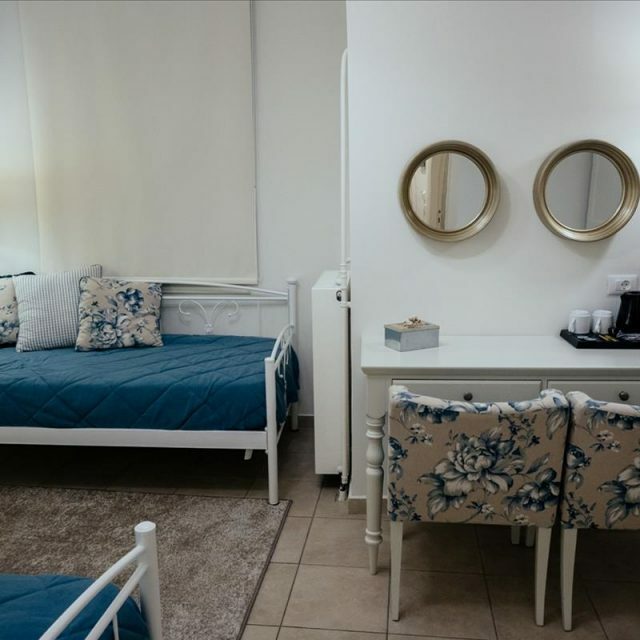 Equipped with twin beds with orthopedic matresses and a comfortable semi double sofabed it’s a great choice for couples with a child or three friends. 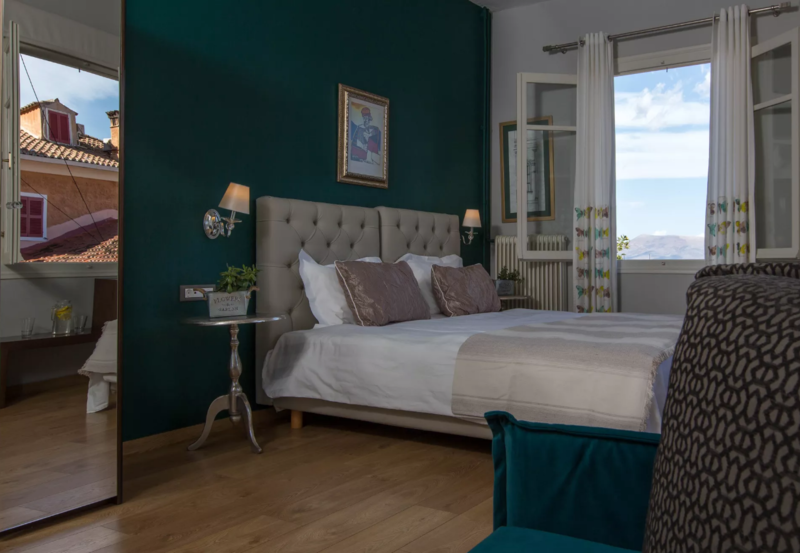 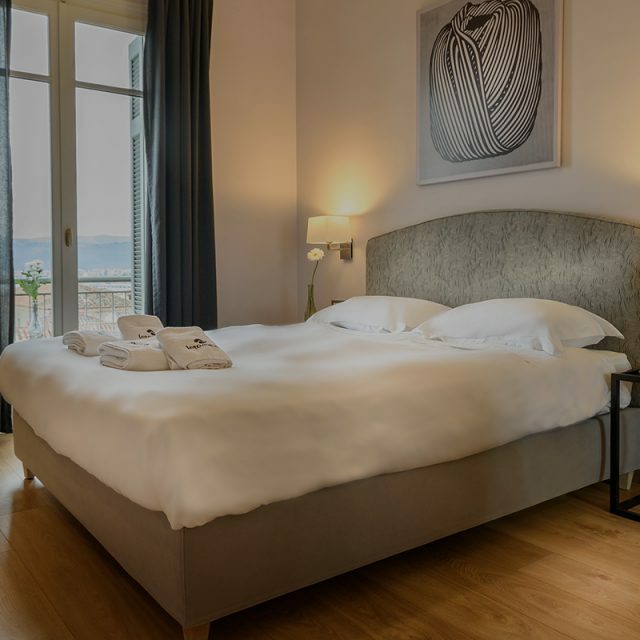 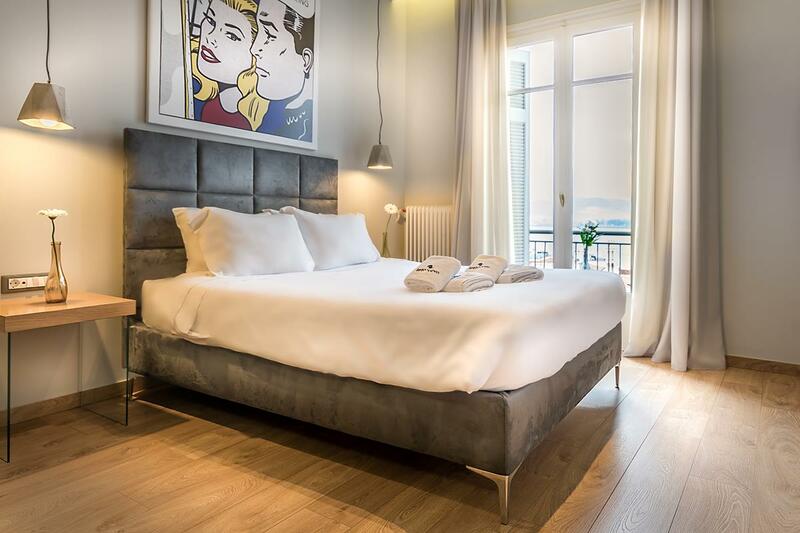 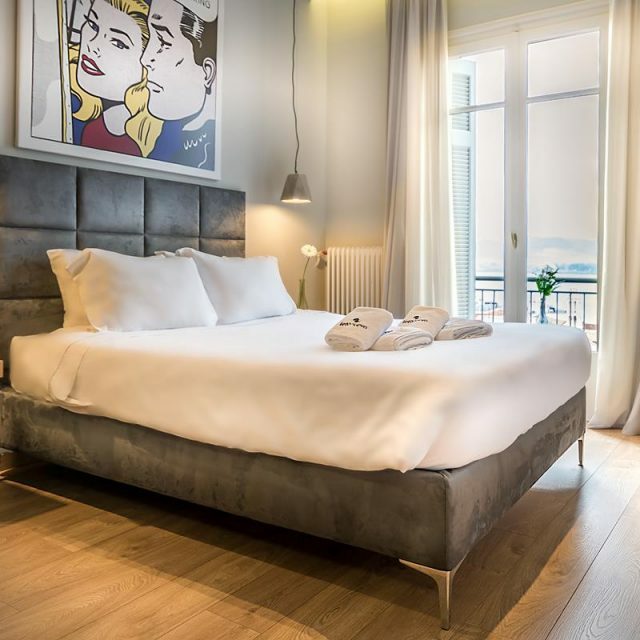 The quadruple family room at Leto Nuevo are among the most spacious and have balconies with great views over the city of Nafplio and Nafplion harbour. 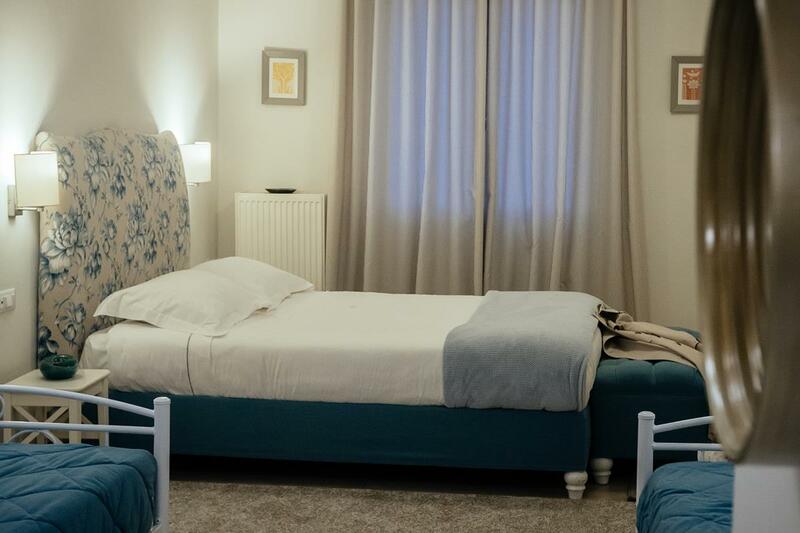 Equipped with a double bed with orthopedic matresses, a comfortable semi double sofabed (suitable for one adult or two children) and the possibility of an extra bed. 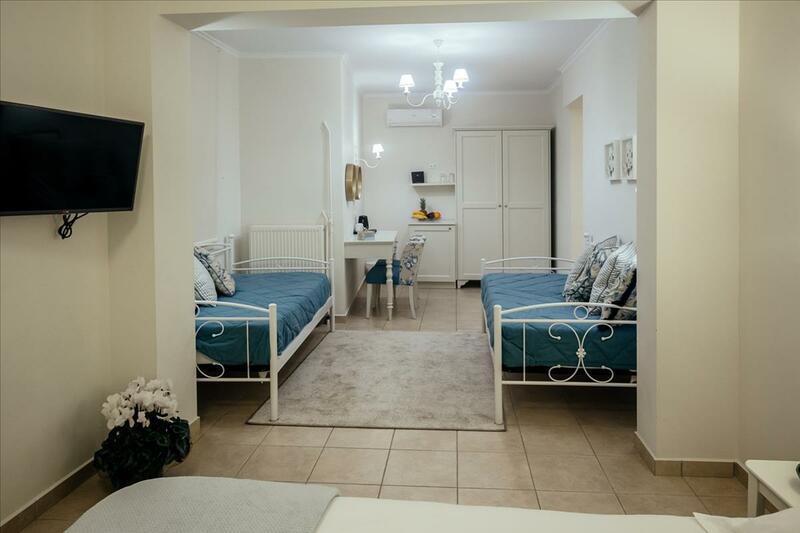 The perfect choice for couples with children or a group of friends. 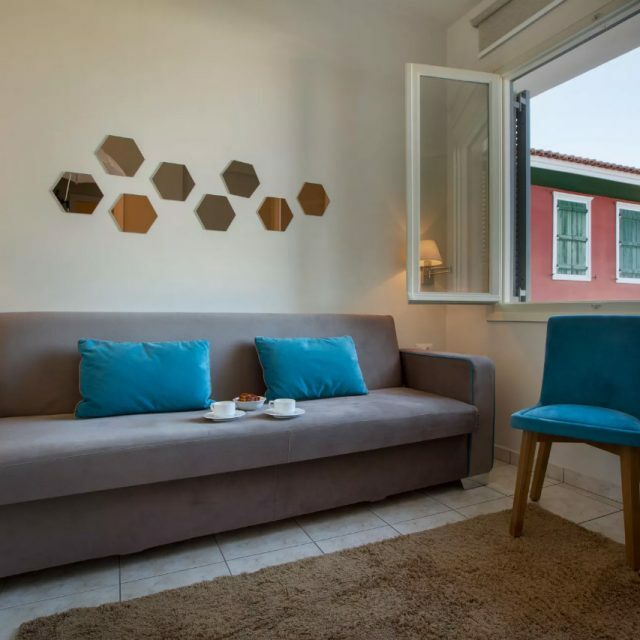 Neutral, restful colours have been used for the decor and furnishings creating a peaceful atmosphere and the rooms have all the necessary amenities for comfortable and relaxing holidays in Nafplion.